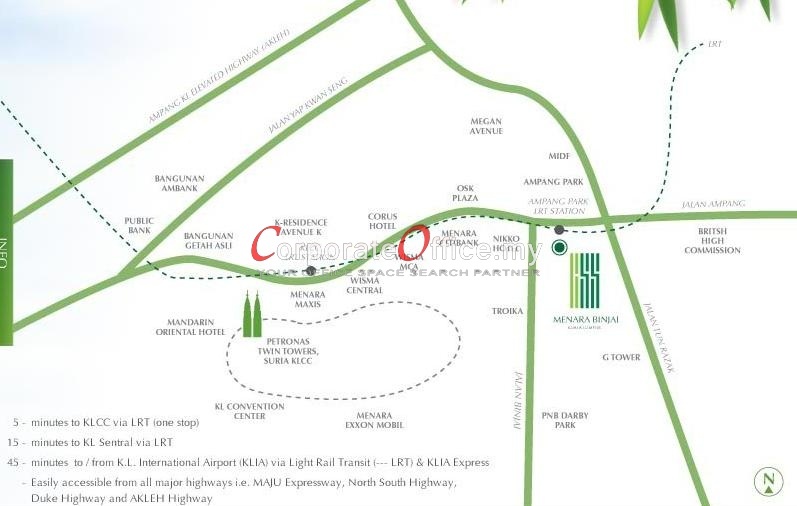 Enjoying good road accessibility and public transport system, Menara Binjai is one of the not many office towers directly next to a LRT station. It comprises of ground and mezzannine floors, 4 podium car parks levels, 4 basement car park levels, and 29 levels of office floors. It complies with stringent environmental regulations that include minimising the impact of itsconstruction on the surrounding area, and adopting low carbon footprint strategies. A host of green features permit sustainable, energy-efficient operation with up to 25% savings on electricity and air-conditioning consumption. 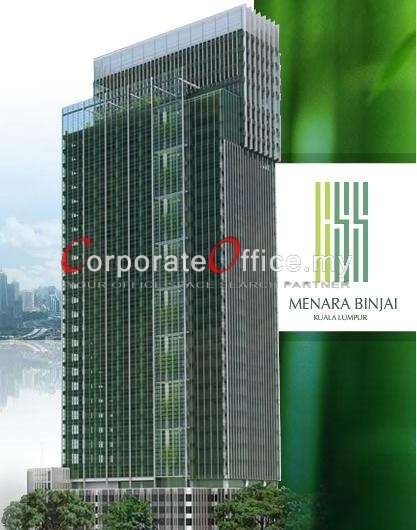 - Dual Green Building Certification by Singapore’s BCA Green Mark Gold and Malaysia’s Green Building Index (GBI) Certified (Provisional). - Low-E double glazed windows for optimum heat and sound insulation, and shielding from glare. - Centralised water-chilled air-conditioning system supported by energy-saving green chillers and equipped with VAV (Variable Air Volume) boxes provides flexible zonal control for as little as 600 sq feet of space. 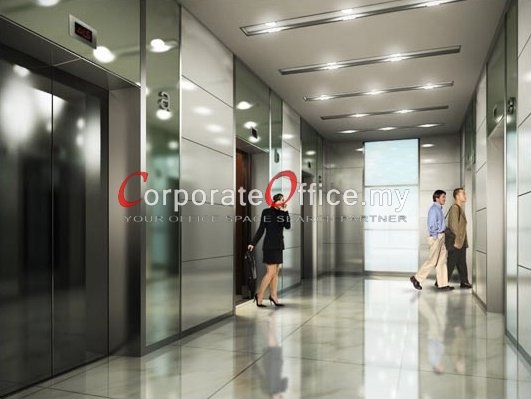 - Destination-based lift system provides additional security by allowing customised floor selection to reduce waiting and stopping times. - Energy-saving light fittings with daylight sensor system which dim peripheral light fixtures during the brightest parts of the day. - Water-conserving sanitary fittings, luxury eco-friendly toilets with seat-bidets. 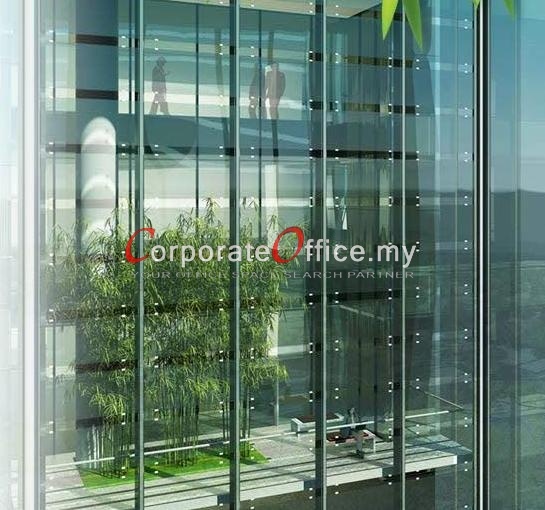 - Sky Garden and a boutique gym on Level 30 provides an oasis for rejuvenation or even an informal venue for meetings. 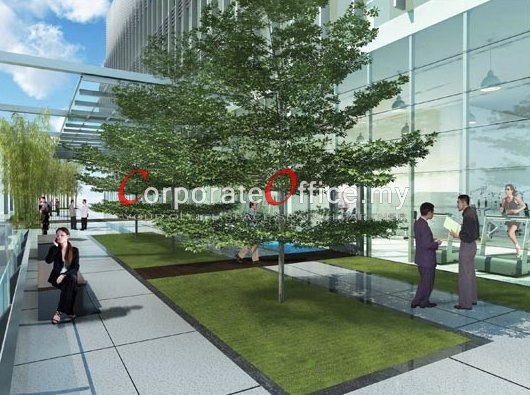 - Triple volume garden terraces on every third floor further introduces "a piece of nature" into the office space. 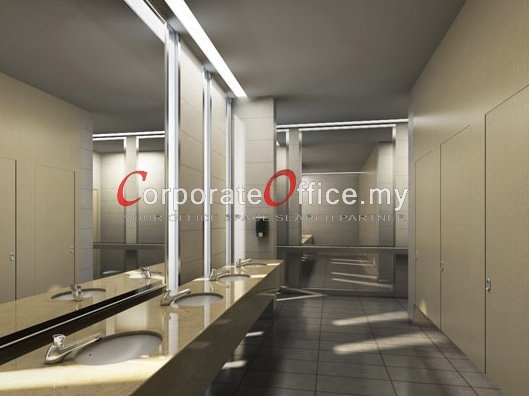 - Penthouse Offices on its 3 uppermost levels boasts programmable express lifts, exclusive washrooms with showers, and superb unobstructed views of the Kuala Lumpur cityscape. Pre-leasing activities is on now and call us to have a preview of the unique building features and find out what can you enjoy as an early bird. 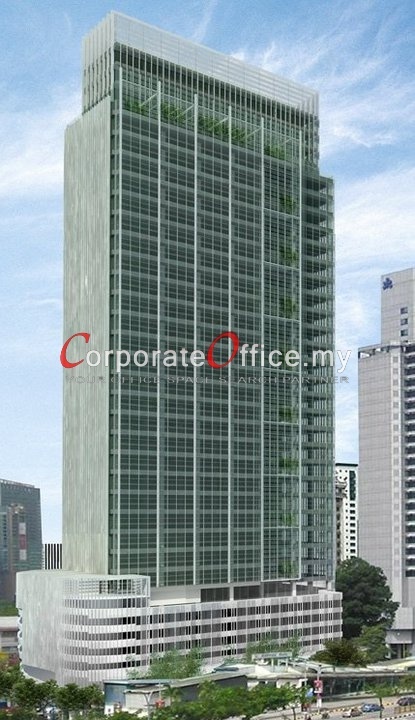 Unit 35-02, Q Sentral,, Kuala Lumpur, Wilayah Persekutuan, 50470, Malaysia. Jalan Pinang, Kuala Lumpur, Wilayah Persekutuan, 50450, Malaysia. 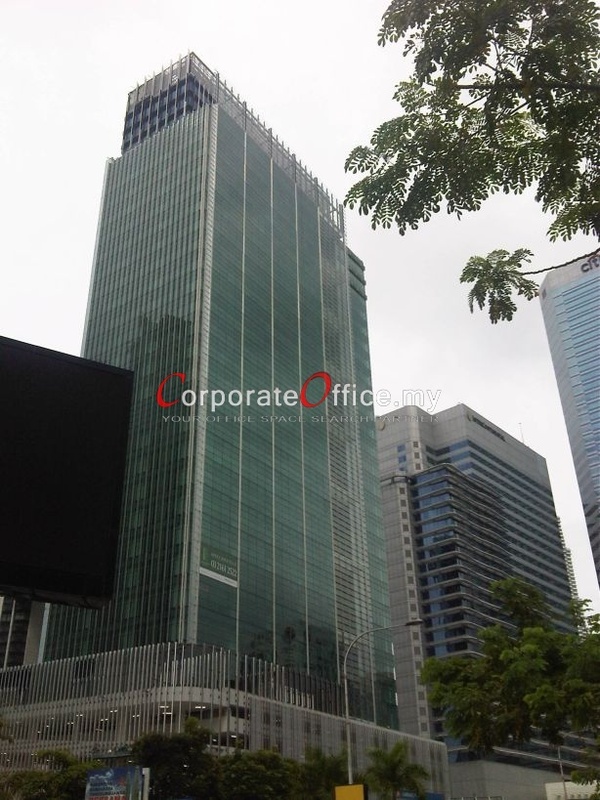 Jalan Sultan ismail, KL Golden Triangle, Kuala Lumpur, Wilayah Persekutuan, 50250, Malaysia. Jalan Ampang, Kuala Lumpur City Centre, Kuala Lumpur, Wilayah Persekutuan, 50088, Malaysia. 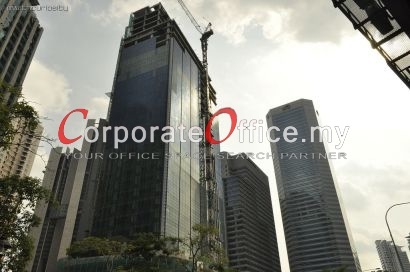 Jalan Tun Razak, Kuala Lumpur, Wilayah Persekutuan, 50400, Malaysia.